Stade Armand Cesari, often referred to as Stade de Furiani, officially opened on the 16th of October 1932. For most of its existence, the stadium was a very small affair with just a tiny covered main stand and small open terraces on the other sides. Until the 1977/78 season when Bastia reached the UEFA Cup final, never more than 10,000 people had packed into the stadium. While capacity got temporarily increased for the final to 15,000 places, it soon dropped to below 10,000 again. 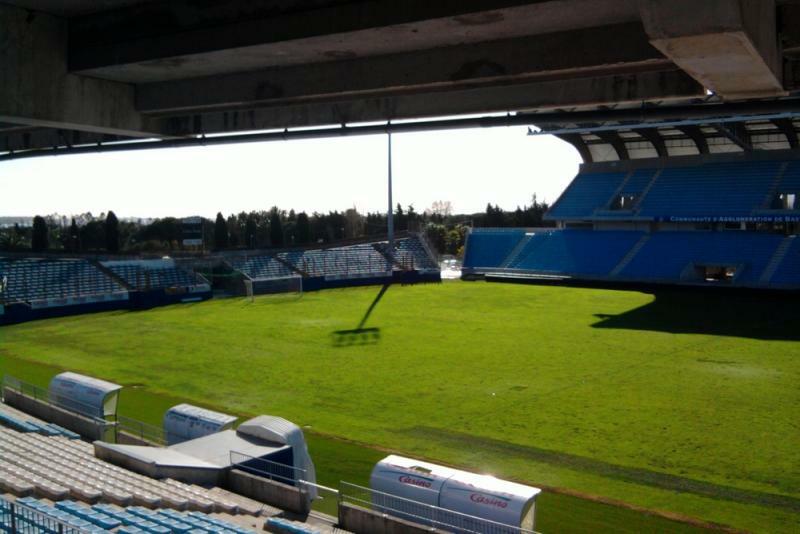 In 1992, Stade Armand Cesari still had not changed much when Marseille came to visit for the semi-final of the Coupe de France. 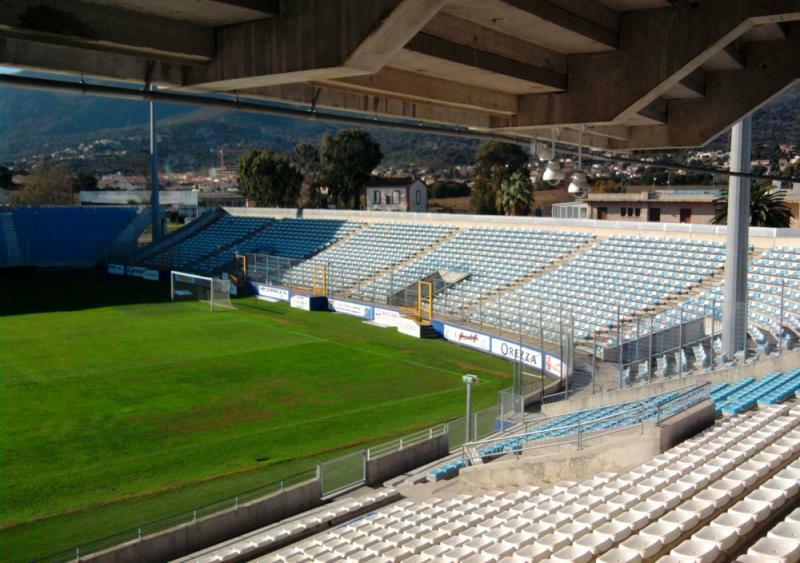 Bastia’s board decided to tear down the small and dilapidated north stand, and double the stadium’s capacity by building a new makeshift scaffold-type stand. Lack of time, failing safety procedures, and fraudulent actions resulted in critical construction errors, and ten minutes before kick-off the upper part of the stand collapsed, resulting in the death of 18 fans and injuring over 2,000 more. Five years later, in 1997, a new two-tiered north stand opened. Two years earlier, a basic new stand had already been built at one of the ends, and a few years later a similar new stand would get built at the other end. In 2009, the south stand got destroyed by a fire, and plans were presented for a new covered two-tiered stand. The new stand opened in 2011. Right after, the north stand got extensively refurbished and fitted with a roof. 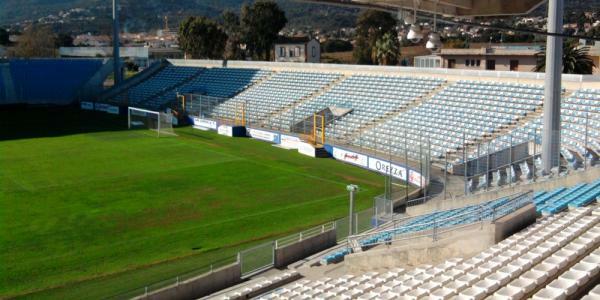 Stade Armand Cesari is located south of the city of Bastia just outside the city limits. It lies slightly under 5 kilometres from Bastia’s city centre not far from the Mediterranean coast. The stadium lies right next to the city’s main access road (N193) that runs into the city from the south (and Ajaccio). If using public transport, the stadium can be reached with the commuter train that connects Bastia with Casamozza. Service is limited though and trains do not run after 7:00 pm. An alternative is bus 5, which runs from Bastia’s city centre. Take the bus in the direction of Furiani and get off at stop Rustincu. It is a 10-minute walk from there toward the coast. Service is also limited and there are no buses on Sundays or after 7:00 pm. Tickets for SC Bastia matches can be bought at the club shop at the stadium, or at any of the other pre-sale points. The most central pre-sale point is the Boutique Alexandre at the Port de Toga just north of the city centre. If tickets remain available, these can also be bought on the gate on the day of the match. Bastia only sells out the occasional high-profile match. Tickets typically cost either €12.00 for a seat at one of the ends or €20.00 for a seat at one of the covered sides. Prices are doubled for a few high-profile matches. Sc-bastia.net – Official website of SC Bastia. Bastia-tourisme.com – Website of the Bastia tourist office. Bastiabus.com – Bastia public transport information.